I remember, I had read a phrase somewhere in a Spiritual Book that "Jaisa Saahitya hum padte hain, Hum waise hi bante hain". Translation: "We become exactly, the kind of literature we read". We, Humans, learn from the consequences and experiences of others, actually from the people having greater exposure of the things than us. It is not possible for anyone to follow someone all the time, as we have different lives. And veterans are too busy to write each and every experience and piece of knowledge. Unfortunately, when they share their views and make thoughts immortal in form of words, we are busy with our useless gadgets and we feel impassive to read their works and lose a chance to see subtle ocean of knowledge. If I blame only youth, this will be partiality because what we learn, it depends on what we see around us. Good habits of our superiors always make a good impact on our choices and vice-versa. There was a time when people used to read books in their free time, now hardly we get time to spend alone or free, in case, if we get, try to waste it either with an idiot box or with any gadget connecting us with a virtual world using Internet. Youth used to follow their elders, their habits, hobbies & every activity was the source of learning, but now our elders are busy & can't afford to spend their time with books, so how we can set an example for ourselves. Apart from this, Even the newspapers are vanished by the e-media, latter shows unhealthy and untrue facts, but people enjoy, so its in trend. What I feel, printed news bulletins give better reports as compared to spicy and equivocation. 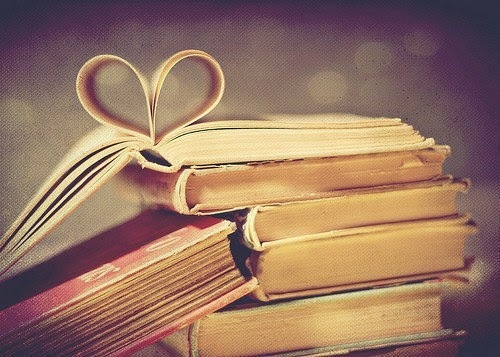 Besides, If I talk about reading habits of people, I often find this as a hobby in oneself. No doubt, technology is the essence of man's life nowadays, though I believe it is fruitful only if it inculcates something good in us. An enthusiast would have achieved if he had used it accordingly. I appreciate the practices if one is using the gadgets to read e-books rather than wasting one's time. Even parents are forced by children to get a high speed connection with a saying that "It is the need of my studies", and how our guardian can refuse any demand linked with our studies. I strongly in favor of people who says that reading habits have reduced in children. Even, this society calls a child, book-worm, but there is no harm in being, as its not harmful to charge our mind from a source that is free.From our initial stage, we are learning, why? Because it is a necessity to grow, to earn, to understand how to deal with the situations and our reactions. Now, when we have grown up, its not that we should stop learning. From the very last day when we completed our studies, we never dare to read a Book, "how long we will study", this is the common question which we ask from ourselves. Its time we started enjoying life, so why I shall hold a book. But, true happiness can be attained only when we will have vision towards the situations, ups and downs of life; and that we can understand when we read the experiences of ignited minds. At last, I would like to say, we can choose our hobbies and interests as per our liking, but something that is the drill and source of energy, is "reading" only. Its never too late to start something good. If you find any point where you resist the words, please don't hesitate in amending me through your valuable comments.